6 Steps to Create a Thriving Online Business without sacrificing your family and insanity. My Proven Breakthrough System Will Help You Turn Your Passion Into Profit!! Are you a busy Mompreneur, Life Coach or Service Provider, who is ready to create a thriving business online? Are you ready to attract your ideal clients? Are you ready to stop treating your business like a hobby? Are you truly Ready to Unleash Your Passions? Are you ready to stop settling in life and ready to live the life you were created to live and ready to live your life Now? It's time to leverage your time and expertise! Your Step by Step Blueprint That Will Help You UNLEASH Your Passion and Attract MORE Success!!! Say Goodbye to Busyness, Fear, Guilt, and Overwhelmitis once and for all!! I help Busy Passionpreneurs Unleash their Passion by teaching and providing them with the tools they need to create a thriving business online without sacrificing their family and sanity. If you have been in business 6 months to 3 years and feel like you are getting nowhere fast. You don’t have a game plan and you are tired of shooting from the hip. You’re overwhelmed and tired of trying to make it work. Creating your passionate vision for your life is a powerful part of the process, in order to Unleash Your Passion you it is necessary that you identify your Passionate WHY! Creating a thriving business doesn’t have to be hard. It’s actually really fulfilling once you connect with your true authentic self and open yourself up to experience a paradigm shift. I’m here to help you move from where you are to where you desire to be in life and business. It’s time to stop playing it small and start living the life you were created to live now. I struggled for years to have to success online, and it wasn’t until I DECIDED to get serious about my business, become coachable, get rid of overwhelm once and for all and put systems in place that would support me in creating my freedom based business. Work With Clients Who Love YOU! You need to give the right people the right reasons to work with you and to stay working with you. In this program I have outlined for you easy-to-follow strategies for attracting more clients and ways to KEEP your clients, so you can concentrate on Unleashing Your Passions….instead of wondering where the next client will come from. I am dedicated to helping Mom-Preneurs create a Passion based business. 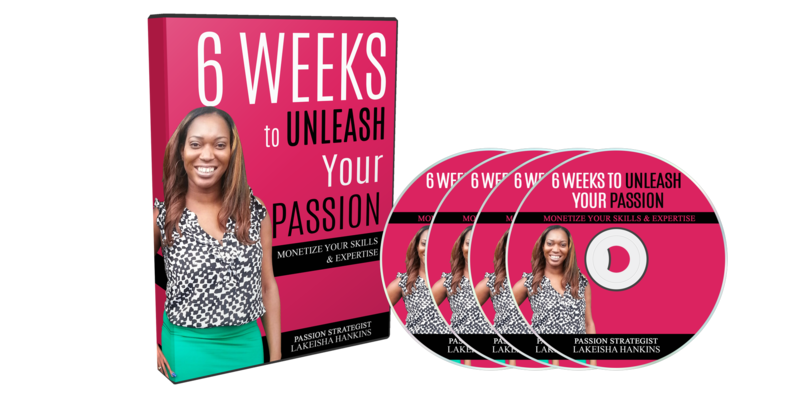 I created the Unleash Your Passion Breakthrough System because I wanted to see women live their best life. 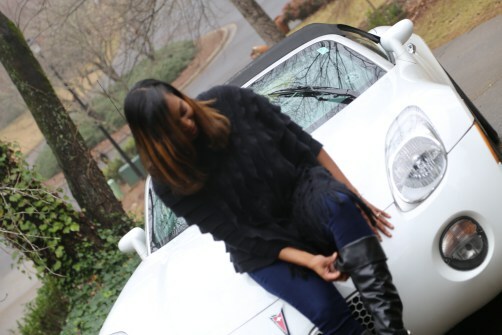 I wanted to see women go after their dreams and overcome obstacles that may get in the way. This is your opportunity to Unleash Your Passion and work with Passion Strategist, LaKeisha Hankins. Each week I will deliver a high content value training that will spur you into action and help you rise up and UNLEASH! Learn how to automate some of your daily tasks or even outsource, and then focus on leveraging your expertise and turning it into profit, when you leverage the skills you already have and realize that you are enough, it opens up the flood gates. Module 2 -Work With Clients Who Love YOU!